Today, LandSat8 or the Landsat Data Continuity Mission (LDCM) released its first images of Earth, collected at 1:40 p.m. EDT on March 18. 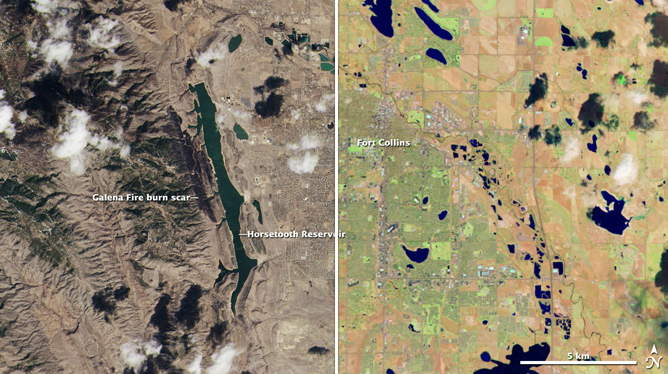 The first image shows the meeting of the Great Plains with the Front Ranges of the Rocky Mountains in Wyoming and Colorado. The natural-color image shows the green coniferous forest of the mountains coming down to the dormant brown plains. The cities of Cheyenne, Fort Collins, Loveland, Longmont, Boulder and Denver string out from north to south. Popcorn clouds dot the plains while more complete cloud cover obscures the mountains. This black-and-white Landsat scene shows the area where the Great Plains meet the Front Range of the Rocky Mountains in Wyoming and Colorado. 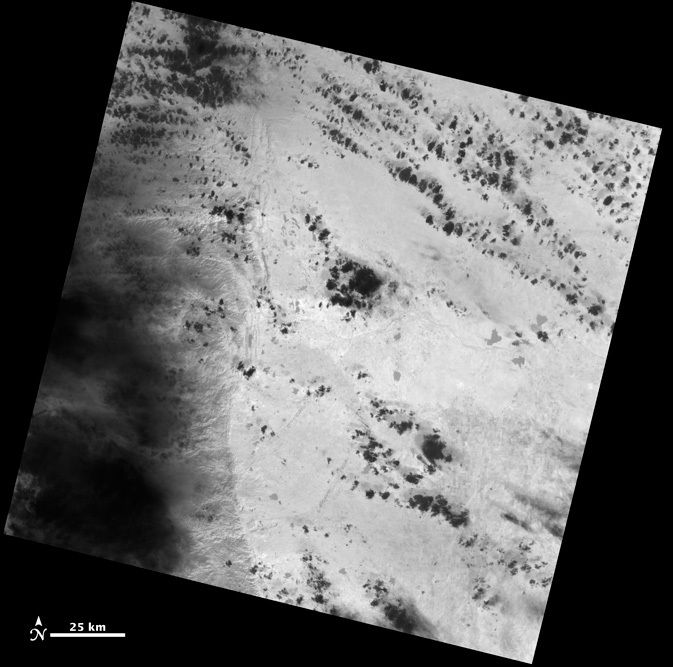 The image was created using data from the first TIRS thermal infrared band. Warmer surfaces appear light gray to white in the thermal image while cooler areas appear dark gray to black. Clouds in the colder upper atmosphere, for instance, appear black against the lighter background of the warmer ground surface. When the satellite begins normal operations, data products will contain co-registered (simultaneous) data for all of the OLI and TIRS. Note to Landsat data users: This scene is slightly off set from the standard Path 33, Row 32 Landsat scene as LDCM has not yet reached its nominal 438-mile (705-kilometer) operational orbit. 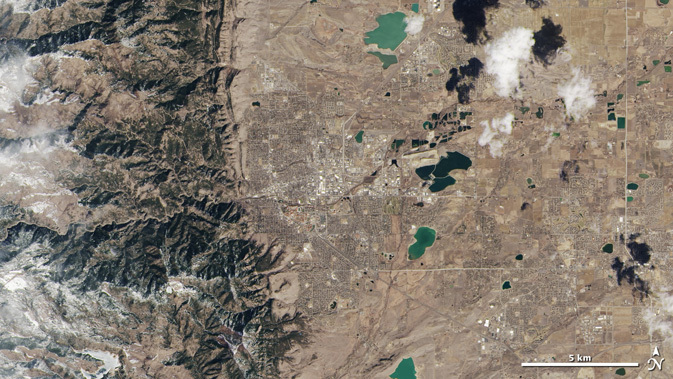 The area around Boulder, Colo., is shown here in a true color image collected by the OLI aboard LDCM on March 18, 2013. The OLI and an important component of TIRS, its cryocooler, were built at the Ball Aerospace & Technologies Corporation facility in Boulder. LDCM's normal operations are scheduled to begin in late May when the instruments have been calibrated and the spacecraft has been fully checked out. At that time, NASA will hand over control of the satellite to the USGS, which will operate the satellite throughout its planned five-year mission life. The satellite will be renamed Landsat 8, and data from OLI and TIRS will be processed and added to the Landsat Data Archive at the Earth Resources Observation and Science Center in South Dakota, where it will be distributed for free over the Internet.